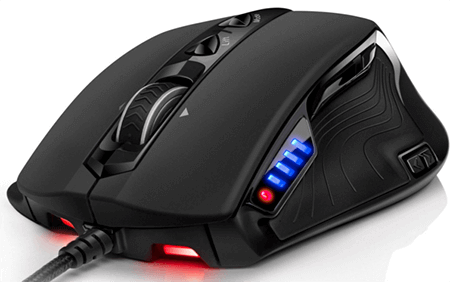 The Sentey GS-3911 Revolution Pro is one of the best-rated gaming mice that belongs to the medium priced range class, especially with recent price drops. Sentey has already produced some stunning products and is among the favorites of the gaming community. Honestly, even though I did a lot of research, it is hard to find a better gaming mouse for that price tag, mostly because it comes with a ceramic foot that will flow smoothly on any surface. But, let us see what features and specifications this mouse can offer to the end customer. When you get the mouse, the first thing you want to do is install the software. Although on many different gaming mice the software is hard to install and understand, the software used in the Sentey GS-3911 is simply great and easy to install. It is straightforward and highly functional. First, and most importantly, the grip. It feels natural and comfortable, with a great sense of control. The movement feels so soft and easy due to the ceramic feet. If your surface is not perfect, then you can use the lift mode, which will adjust the movement at any time. Although the base weight is a little light on the feel, there are weights that come with the Sentey Revolution Pro that you can add. 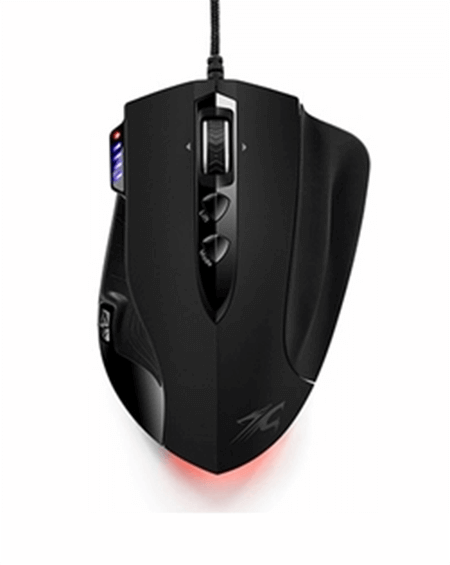 Please note that the Revolution Pro comes with 6 removable weights that can significantly enhance the feel of the mouse. Most of the times the gamers will use all 6 weights because in that way the feel of the gaming mouse is the best. I agree with that as well, the feel is so much better with the weights. Another thing I must say is about the placement. 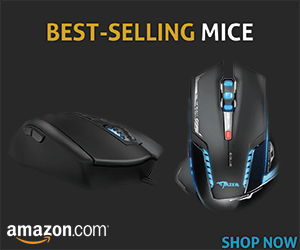 They are located in the center, which is strange because we all know that all other mouse manufacturers put them on the sides. This indeed can be an amazing difference in the feel compared to the other similar models. The overall impression is that the Revolution Pro feels amazing on the hand. Regarding the DPI settings, please note that you can set it up to 8200 DPI. You will have a chipset inside the Sentey GS-3911 – the Avago 9800 Chipset. The interesting thing is that this enables you to use four modes. They are related to every different DPI setting. On top of that, you can add up to 5 various profiles. The profiles can also play with the color of the LED’s lights. The effect that they can achieve is really neat. Another detail that may be interesting to gamers is that the DPI switch is within reach and not somewhere where you might accidentally trigger it because we all know that this happens. You will be able to use its acceleration speed of 30G and the 9 Buttons. The Sentey Revolution Pro uses the so-called Avago 9800 Laser sensor, but keep in mind that all laser sensors have inbuilt mouse acceleration that you can’t remove. This is one of the best right now, so it should be enough for every gamer needs. It feels great, looks stunning, and, in terms of functions and software, it can compete with anyone, even with the gaming mice priced over $100.